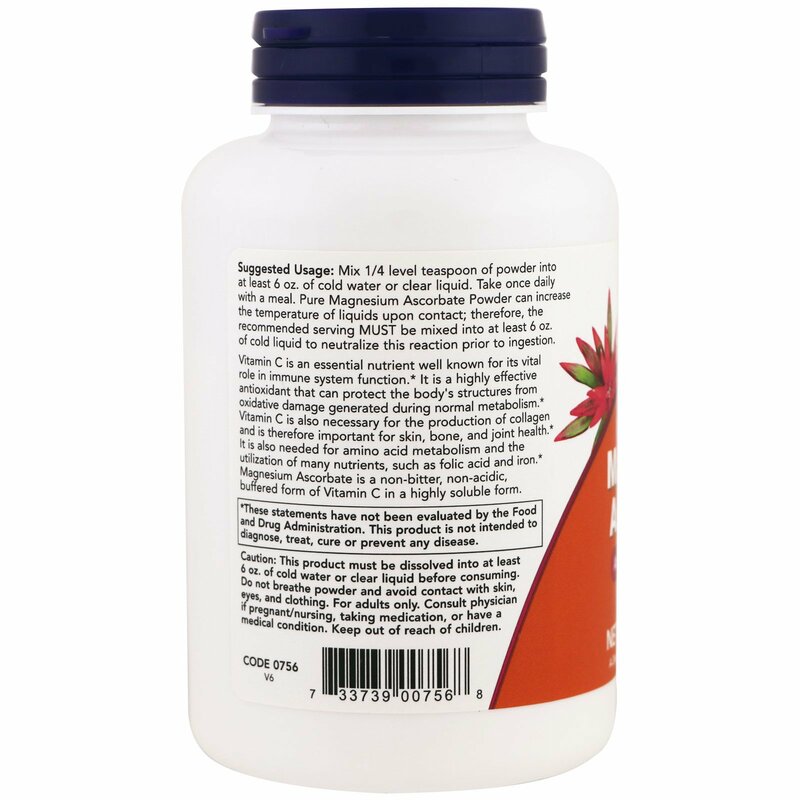 Vitamin C is an essential nutrient well known for its vital role in immune system function. It is a highly effective antioxidant that can protect the body's structures from oxidative damage generated during normal metabolism. Vitamin C is also necessary for the production of collagen and is therefore important for skin, bone, and joint health. 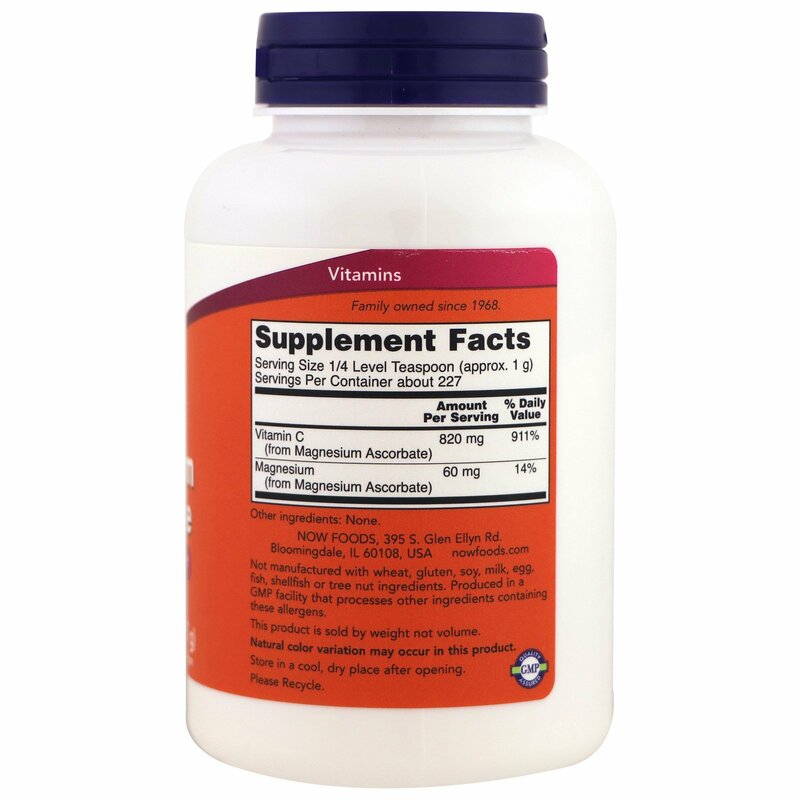 It is also needed for amino acid metabolism and the utilization of many nutrients, such as folic acid and iron. 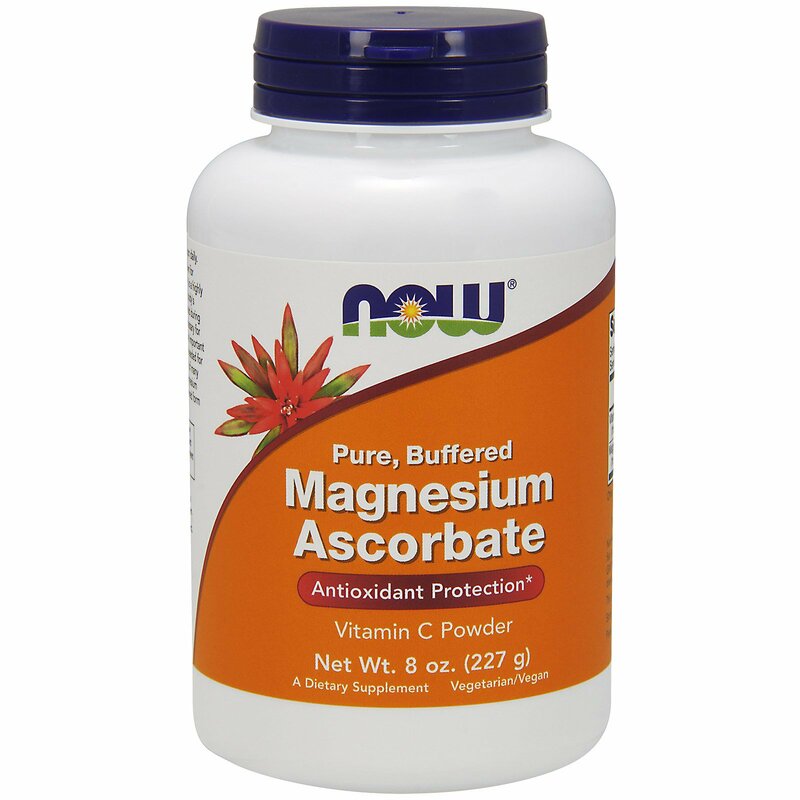 Magnesium Ascorbate is a non-bitter, non-acidic, buffered form of Vitamin C in a highly soluble form. Mix 1/4 level teaspoon of power into at least 6 oz. of cold water or clear liquid. Take once daily with a meal. Pure Magnesium Ascorbate Powder can increase the temperature of liquids upon contact; therefore, the recommended serving must be mixed into at 6 oz. of cold liquid to neutralize this reaction prior to ingestion. Caution: This product must be dissolved into at least 6 oz. of cold water or clear liquid before consuming. Do not breath powder and avoid contact with skin, eyes, and clothing. For adults only. Consult a physician if pregnant/nursing, taking medication, or have a medical condition. Keep out of reach of children.